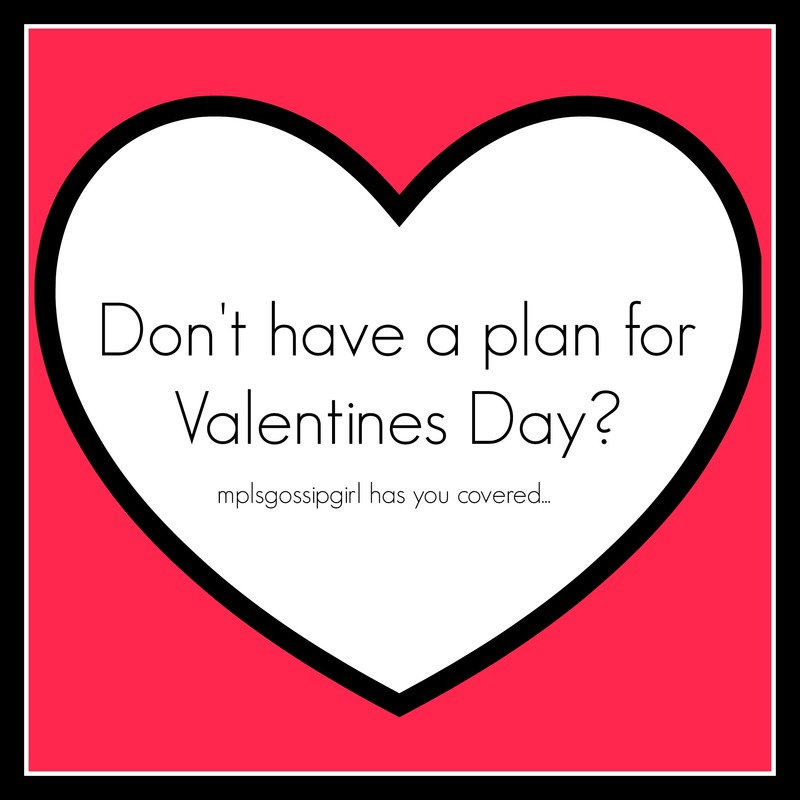 So, you waited until the last minute to plan Valentine’s Day in the Twin Cities? Hey, it happens. I’ve been there. Don’t fret because I have some ideas of how to wow your Valentine on Valentine’s Day. Which you must have just found out it was today. My best suggestion is to quickly at least handwrite a card and go to the grocery and pick up dinner to make. But, here are some other ideas too. Tell your partner to wear comfy clothes. Then head out to the Mall of America! Spend the night riding the rides and eating food at one of the local establishments. You could even go shopping for a gift while you are there. You will get 10 bonus points for creativity. Just remember to keep up the enthusiasm and pretend that you’ve had this plan for months. Go to a place that can help you with the meal like Surdyks. They will be able to point you in the correct direction. You can make a cheese plate and a meal that is fancy with some help from your friends. Then, stop by Patina and pick up a gift. Tell them that you heard of this really cool restaurant. But, they don’t take reservations. There are several places that don’t take reservations like The Sample Room, Brasa, or World Street Kitchen. Play it cool like you had this plan all along. And buy a gift that can be used while you are waiting for a table or food. Go to a dive bar. Or a bar. They tend to not be very busy on Valentine’s Day because people go out to fancy restaurants. You better have an awesome gift. Just sayin’…. Go to this event and support Secondhand Hounds with other singles. More information HERE. Tonight, I will be eating a homemade dinner and binge watching House of Cards because nothing says love like that does. Because it doesn’t matter what you do, it just matters that you make the person feel special. Add in your ideas. What are you doing for Valentine’s Day? I am the first one to admit that I was on the Groupon bandwagon. I loved the idea of getting something for a fraction of the cost. At first, Groupon was that place where you could find out about something you had never heard about before. In fact, my first purchase on Groupon was a wine tasting. I was extremely excited that I would be the type of person that would go to a wine tasting and that I was the first of my friends to do something like this. The funny part of all of this was that I never ended up using the Groupon. I think I liked the idea of it more than actually using it. But, now I have fallen off the bandwagon. After Groupon started sending daily emails with promotions I would never be interested in, learning about how they treat the businesses that use it, and the restrictions, I wish that Groupon would just go away. Before Groupon would send one deal a day. Today I receive 3 emails and one was for electronic cigarettes. I don’t smoke. There is nothing novel about the deals that they have and they are not very local any longer. Why aren’t they local? Because the businesses that have used the service usually end up worse off than they were before. I was told by a business owner that they made only about 25%. So, if it was a coupon for a restaurant worth $40 that you buy for $20 the restaurant only makes $10. This makes places have to put restrictions on the deals. Cannot be used on happy hour, drinks, tips, or they can only be used for specific items. I was out to dinner on a Friday night when a group of people who were seated by me attempted to use a Groupon. This Groupon was actually for the restaurant that used to be in the place of this restaurant that closed but, this restaurant said it would accept the coupon anyway because they didn’t want the people to be out of their money. The only problem was that these people ordered off the happy hour menu. Does anyone really think that you should be able to use a Groupon on top of really great happy hour prices? What proceeds to happen was the customers throws a fit. It was an epic fit that basically ruined the meals of everyone around them. This is exactly why restrictions on coupons hurt the businesses that use them. People don’t read the restrictions and then blame the businesses. The staff at the restaurant handled it in the best way possible. Apologizing about the mix up but standing firm that they would not accept the coupon because of the restriction. The fit went on for about 20 more minutes where the customers continued to try and argue with the staff member to get them to back down. All the while yelling about how they would never come back here, that they were going to give them horrible reviews, and tell everyone they know never to come here. I also hope they are reading this and realize how they were completely inappropriate. All of us who want to eat great food and are willing to pay for it want coupons with restrictions to go away for good. Or I beg of you, if you are going to use a coupon of any kind don’t argue about the restrictions. because Groupons just need to go away. What do you think? Do you use Groupon’s frequently and want them to stay? If you want them to go, why? Isn’t it great that there is a place out there that doesn’t apologize for what it is? 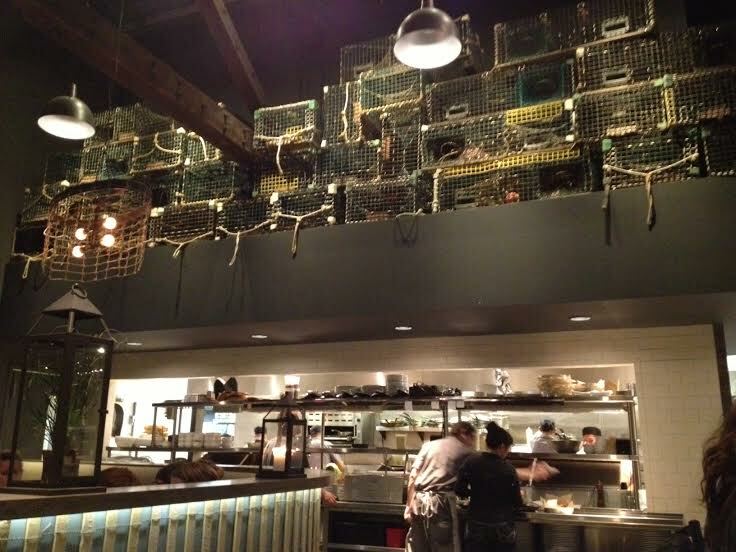 Smack Shack does lobster. 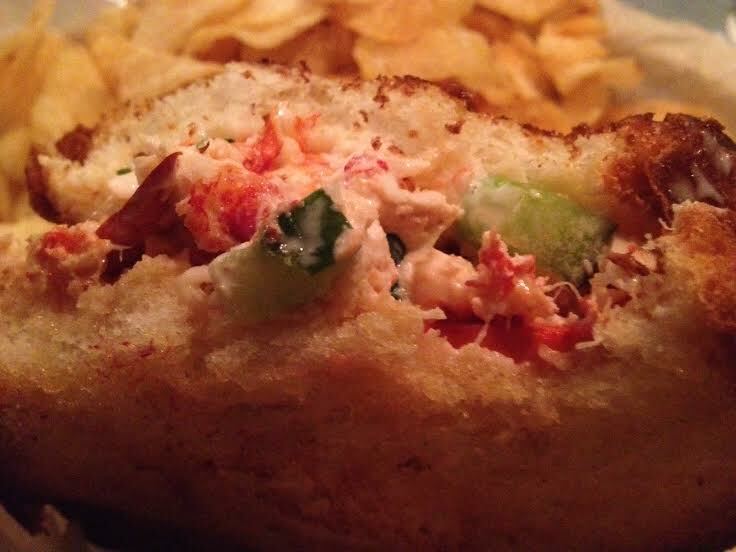 They do lobster because it started as a food truck that sold lobster rolls. But, also because they built a custom tank to hold the lobsters. They also have a huge boiling pot where they cook the lobster. 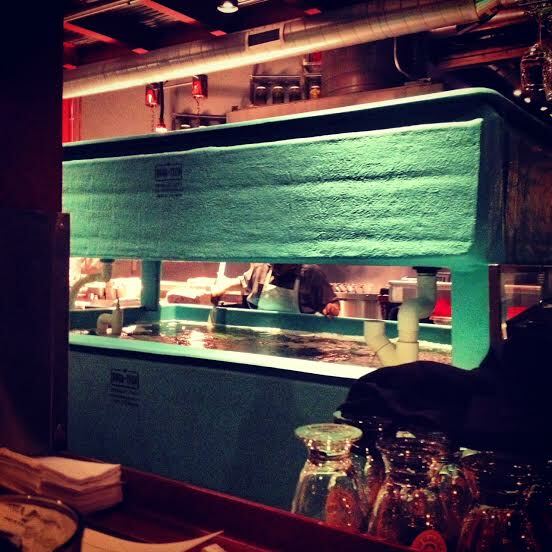 Basically, the whole restaurant is built around the lobster. They unapologetically do lobster well. So, what should you order when you go here. I don’t know… maybe lobster. I tried the lobster roll and loved it. As someone who tends to be not the largest fan of lobster, this sandwich just made me happy. The lobster was cooked perfectly and did not have that weird taste that I sometimes get from lobster that has been waiting around awhile to be cooked. It was just very fresh tasting and tastes great with beer. It was kind of hard to eat, so maybe not a good first date meal. Honestly, I was just munching down on it without caring what people thought of me. So, there’s that. 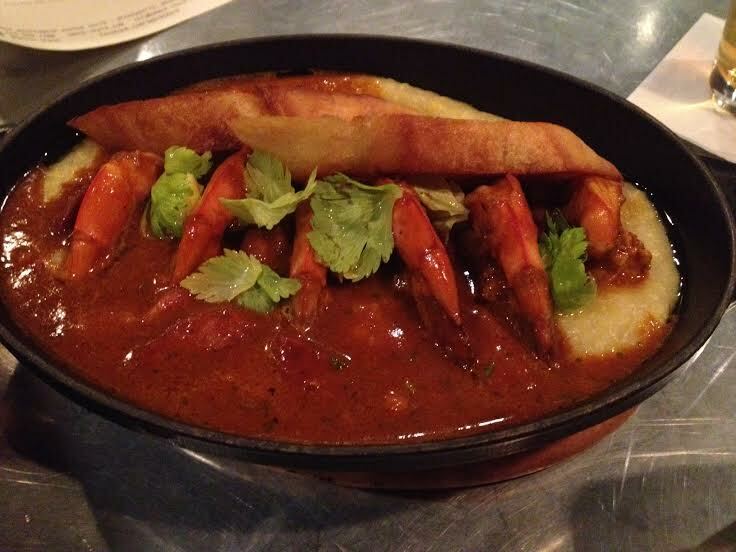 I also tried the shrimp and grits. It was pretty good but I wanted the grits to be a little bit more creamy. But, the shrimp was cooked well and I don’t have anything bad to say about it. Only that there are a few other things that after watching people order them, I really wanted to try. Next time I come in I want to try a soup. Someone eating around me was raving about the soup they were eating. I also want to try the fried chicken and waffles. Not something I normally would get from a restaurant but the couple next to me was splitting it and I was extremely jealous. I should also note that valet parking was only $5 and that made it easy to come and go. Also, make reservations. I was there on a Tuesday which is usually not a busy day at a restaurant. It was completely packed. There is just something great about places like the Smack Shack. They do lobster and they do it really well. They created this crave-able item that will be something that when I think about eating it, I will head directly over to the Smack Shack because they do it best. because do something and do it well. 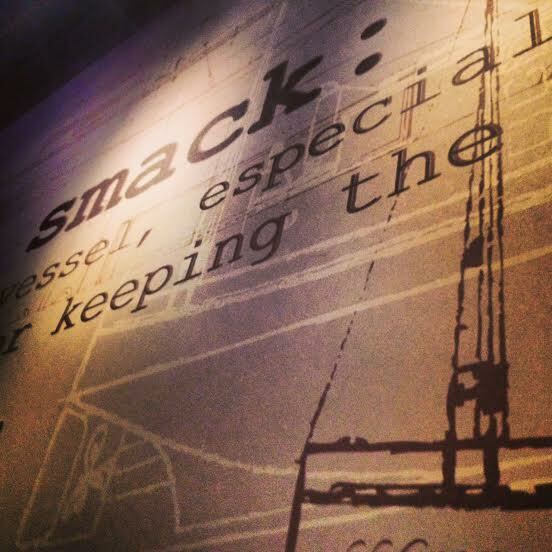 Congratulations to Smack Shack for reaching their 1 year Anniversary! They are having a party tonight 2/10/14 starting at 4PM. 4-6PM they will have complementary hors d’oeuvres and mini daiquiris in the bar plus music all night.